Hair loss is an increasingly common problem in the world faced by both men and women.Factors like stress and lifestyle imbalances contribute to the problem majorly. While it doesn’t concern everyone but those who are really worried can opt for various treatments and cures to fight hair fall. Hair weaving is a new and safe approach to cover hair thinning by adding natural or synthetic hairs to the scalp. Cosmotree Clinic offers best hair weaving in Delhi for hair loss giving you natural effective results. It refers to the techniques used for adding new hair, either natural or synthetic to the existing hair of an individual. The hairs are added to the scalp by weaving or braiding of human or synthetic hair. Hair weaving essentially means adding more hair on the scalp or to the existing hair to cover baldness or thinning of hair. Different types of weaving commonly available in the market are netting, fusion, bonding, tracking, lace extensions, micro braiding, etc. One can select the hair type and style. Hair weave is commonly used for baldness of varying stages. 1. Bonding: Bonding is the most widely and preferred technique where hair is divided into several sections and the pieces of weaved hair is added to the natural hair, close to the scalp by using hair glue. This is a temporary method of weaving that does not damage the natural hair. In order to prevent any kind of damage to natural hair, extensions are removed after few days. Another form of bonding technique is attachment of wigs with the help of a medical adhesive. Bonding technique has two types, namely soft bond and hard bond. 2. Tracking: It involves braiding the natural hair into several tracks across the head. Generally, hair is braided into cornrows in order to sew the weave hair. In this technique, natural hairs are initially braided into the cornrows, which are referred to as ‘track’. For a specific tracking, weave comprises few tracks. This, however, requires a lot of care and should be properly done only by a professional. 3. Fusion: This gives the most natural look by making the weave completely unrecognizable from the original hair. A machine is used to glue natural hair strands. For this, the natural hair has to be sectioned off into several small sections. Then the machine is heated in order to attach the new hair to each of the sectioned hair strands. This method is quite expensive and time-consuming, but it can give a natural look and the hair can be maintained as usual. Another technique known as cold fusion is available, which does not use a heating machine. Associated with the risks of loss and damage of skin burn, the technique has not amassed popularity as bonding and tracking techniques. 4. Net Weaving:It is a permanent technique of weaving that is best suited for those experiencing thinning or balding. This process involves braiding of natural hair and enclosing a thin film of net on the braided hair is done. Now this net serves as a surface on which the extensions can be woven. It can last for 2 to 3 months, but would require proper care and maintenance. The biggest advantage of this technique is that it does not cause any damage to hair unlike fusion technique. Invisible braiding also known as tree braiding is a temporary technique employed for Hair Weaving. But this treatment can give a completely natural look. To add extensions, the natural hair is parted in the middle to create a basic cornrow braid. Now the artificial hair is added just at the beginning of the cornrow braid. This process is quite bit tricky and can be done perfectly by an expert hair care professional only. The artificial hair extensions can completely blend with the natural hair to give a stunning look. 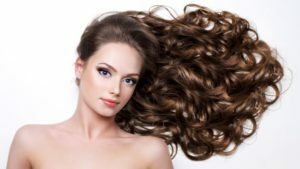 With these techniques synthetic hairs have become an excellent option to add style, volume, and length to the existing hairs. With the help of new techniques weaving has progressed to a great extent that weaved hair look almost undetectable and very natural. It should be carried out by professionals in order to avoid any damage to natural existing hairs.